Security planning starts at the stage of planning of construction of a premise. We are capable of assisting you with your safety and security planning and analysis from construction to operation stage. Being a quality oriented organization we are instrumental in Life Safety Planning Service. 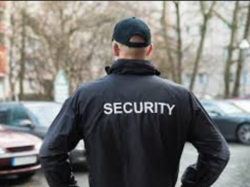 For Total Quality Commitment we have strong operation team of Guarding Personnel more of them highly experienced Police & Defence Personnel, Mobile Field Personnel and Patrolling Supervisors suitably equipped with communication network.